This is the starting point for a series of talks given recently by cultural commentator Ken Myers at Dallas Theological Seminary. American Christians are shocked to realize anew every morning that they live in such a faithless culture as they tsk tsk over the paper in the morning, or over the online version of it. And yet American Christians have for decades, if not centuries, practiced a cultureless faith. We live in a faithless culture because Christians have practiced a cultureless faith … or to adjust the terms a bit, modern Christians have often affirmed a world-less faith, that is, a faith that has nothing much to say that would reflect on our life in the world. Even as they’ve allowed a faithless world to take shape, modern Christians gave permission to the world to be faithless by accepting the notion that the gospel is essentially a private and personal matter and not a public and a cosmic message. Myers continues by recalling how this sort of dualism—public life, private faith—was one of the tensions he wrestled with as a young Christian working at National Public Radio. Shortly after I finished college and just before my 22nd birthday, I went to work in the arts and performance department of National Public Radio. I was editing interviews with, and commentaries about, some of the most creative people in the world. And during that time, I was also very active in the church that I had attended with my family since the 5th grade. I grew up in a very conservative Christian home; my parents were from the Christian Missionary Alliance denomination. I had three uncles who were missionaries. I grew up assuming you have to be a missionary if you were a serious Christian. … I had uncles in Vietnam, India and the Ivory Coast. So I was very active in that church while I was working in NPR. What this meant for me was, Monday through Friday, I was working with people who were intensely involved in the arts but generally in different to, if not actively suspicious of, the beliefs and practices of Christians. … And on Sundays, I worshipped in fellowship with people who regarded the arts and artists nervously and sometimes with hostility. And sometimes I used to think of the famous novel, When Worlds Collide (just the title of it) — it was kind of what my life was. … I spent time on Sunday with people who believed in creation while during the week, I worked with people who believed in creativity. My church friends were deeply committed to the first clause of the Nicene Creed: “I believe in one God, the father almighty, maker of heaven and earth and of all things visible and invisible.” These people believed in a creator and they described the world as a creation, but … like most Christians for much of the church’s history, they were more eager to defend the fact of creation than they were to explore the consequences and ramifications of creation’s nature and meaning in their everyday lives. But Scripture offers a corrective for this low view of creation. The creation itself … is an epiphany—creation reveals, the heavens declare the glory of God, God’s eternal power and divine nature can be perceived in the things He has made. Throughout the scriptures, especially in the wisdom literature and the Psalms, creation is the depicted as an active and evident witness to God’s identity, and creation itself bears witness in a chorus of worship. Psalm 89 reads, “The very heavens shall praise thy wondrous works and thy truth in the congregation of the saints.” The heavens and the earth are depicted as testifying to God’s nature, to His works and history and to His coming triumph over evil. Psalm 96, “Let the heavens be glad, let the earth rejoice, let the sea roar and all that fills it. Let the field exalt and everything in it. Then shall all the trees of the forest sing for joy before the Lord for He comes, for He comes to judge the world.” He will judge the world in righteousness and people in His faithfulness. Creation bears witness to those who have ears to hear. But to hear, they must approach creation with a well ordered imagination. Gerard Manley Hopkins’ wonderful poem “God’s Grandeur,” and I say it’s wonderful in its strict sense—it’s a poem full of wonder, and it’s a poem about wonder. Again, add that to your reading list along with Colossians 1. Gerald Manley Hopkins’ “God’s Grandeur” begins, “The world is charged with the grandeur of God.” It’s charged—it’s like static electricity flowing off because the grandeur is so powerful. And he goes on to suggest that modern men and women fail to perceive that authoritative revelation offered in nature because we’re so preoccupied with practical matters. “All is seared with trade, bleared, smeared with toil and wears man’s smudge and shares man’s smell.” We don’t see or hear the testimony of creation because we’re preoccupied with practical matters. Where the scriptures present creation as an epiphany, modern culture sees creation as a pile of raw materials, natural resources, inert meaningless stuff. The world is commonly regarded as material to which we do something, not a source from which we receive something. And I would suggest that this attitude towards creation is contrary to how we should pursue both worship and the arts. Our worship should recognize that God, the maker of all things reveals Himself in all that He’s made, and that He calls us toward a receptive and grateful posture toward creation. And that is also the posture of artists, or should be. Both worship and the arts serve the function of reorienting our minds, imaginations and practices so that we can properly perceive what creation is and what our place in creation is. But we will not perceive the revelatory power of creation unless we approach creation with imaginations properly tuned. “Incarnation and the Form of Human Meaning” and “Resurrection and the Promise of Glory” are the titles of the second and third talks. Videos of all three lectures, as well as the forty-eight minute Q&A session, may be linked from the Mars Hill Audio website by going here. Prior to Mars Hill Audio, Ken edited a number of print publications and worked with Richard John Neuhaus and Charles Colson. He currently writes a regular column for Touchstone magazine and is the author of All God’s Children and Blue Suede Shoes: Christians and Popular Culture (2nd ed., Crossway, 2012). I’m reminded of CS Lewis’ adjuration that we need more good books written by Christians, not more Christian books. I’ve been making my way through The Gravedigger Files (I see you have a wonderful set of reviews of Os Guinness’ updated version, The Last Christian on Earth); I noticed the repeated references to sociologist Peter L. Berger’s work. He’s a Christian. I wonder if this is what Lewis meant to happen: Christians doing groundbreaking work. 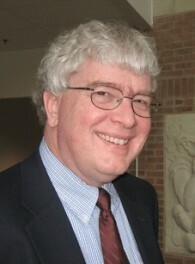 Berger is still considered a leader in the field, having written several seminal texts. Is part of the problem that many just cannot appreciate ultra-high quality work, these days? Part of it is the desire to be entertained, and some of it is the business of life that precludes leisure. Have you come across U. of Washington David Levy’s “No Time to Think”? There’s a Google Tech Talk by that name, as well as a paper. I see your blog never references Josef Pieper; I would highly suggest his “Leisure: The Basis of Culture” (Levy talks about it), as well as his “The Concept of Sin”. Christianity will become more relevant to more of life when it can speak powerfully into more of life.